Miracle Verde “Marvel” is a fertilizer enhancer and soil conditioner, that is natural organic non-toxic and green; and, helps all crop growers increase profits, regardless of scale or size. It creates a “super sponge” in the soil, replenishing and nourishing the soil instead of depleting it; thus enhancing the effectiveness of fertilizers and pesticides, increasing yields, reducing pollutant run-off, reducing irrigation needs and reducing production costs. 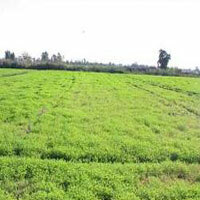 The results are a more abundant, healthier and heartier crop, with a faster time to market. Converde “Marvel” is our proprietary solution that makes this possible. Until now, no one has been able to harvest, process, produce, package and ship natural organic non-toxic fertilizer enhancers in mass quantities. Miracle Verde's artesian water is from one of the most highly regarded aquifers in the heartland of America; and, is considered to be among the best water sources worldwide. Converde's production facility gives us the ability to sell our artesian water in bulk or bottled, including on a private label basis, as well as process nearly all types of beverages.Converde's production facility gives us the ability to sell our artesian water in bulk or bottled, including on a private label basis, as well as process nearly all types of beverages. EP 55 – BIO FERTILE – an effective organic soil enhancer, plant growth bio-stimulant chelating agent and disease suppressant. The basic ingredient of this soil enhancer is Humid Acid which is added to a grower’s fertilizer program, providing higher crop yield while reducing overall fertilizer costs. EP 55 – BIO FERTILE, contains high grade macro and micro nutrients, amino acids, enzymes, proteins, vitamins and minerals and offers numerous advantages. It conserves energy in plants, assists in the solubilization of soil minerals, suppressed plant and replenishes and maintains long-term soil fertility by providing optimal conditions for soil biological activity. EP 55 can promote plant growth, even when the plant is under nutrient stress. EP 55 – BIO FERTILE is an all natural product when mixed in solution effectively hold nitrogen in suspension so that dissipation in the air and ground during application is dramatically reduced. The result for farmers is that they get a minimum of from 30% to 50% better utilization of the nitrogen and are able to see dramatically better results and yields at substantially reduced costs. 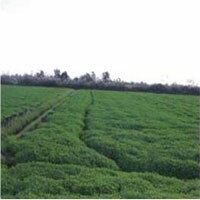 Miracle Verde’s Soil Enhances are certified 100% ORGANIC. These products aid in transforming agriculture into a productive, environmentally sound, sustainable enterprise.